Today, the Crohn's & Colitis Foundation of America (CCFA) announced the launch of IBD Qorus, a ground-breaking collaboration between patients and their healthcare providers that will lead to enhanced health outcomes and improve the quality of care for inflammatory bowel diseases (IBD) patients. There are currently 20 gastroenterology practices enrolled in the program. A number of recent studies have shown a significant degree of variation in how physicians around the country treat IBD. It's been shown that quality of care directly impacts the health outcomes for patients. Corey Siegel, MD, Director of the Dartmouth-Hitchcock Inflammatory Bowel Disease Center, and Gil Melmed, MD, Director of Clinical Inflammatory Bowel Disease at Cedars-Sinai Medical Center, are Co-Chairs of IBD Qorus. To achieve these goals, IBD Qorus is developing an innovative model of patient/provider co-facilitation of healthcare, considered the cornerstone of the initiative. Designed to empower IBD patients to become more engaged and active in managing their care, the new model is being developed with critical input from several volunteer Patient Leaders, who have been providing valuable insights into the needs, concerns, and thoughts of patients living with IBD. IBD Qorus is a key cohort of IBD Plexus, the research and information exchange platform being developed by CCFA to bring together and manage the diverse data and information IBD researchers need to advance toward better treatments and, ultimately, cures for Crohn's disease and ulcerative colitis. 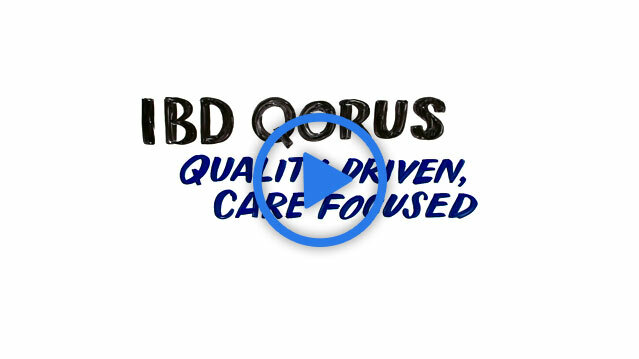 IBD Qorus provides key clinical information that can synergize with other patient-centered research data and information to enable additional studies and early discoveries, particularly related to clinical questions.